In early 2017, NHS Education for Scotland appointed Connect to design, build and launch a dedicated mobile app to be used by healthcare staff in Scotland. 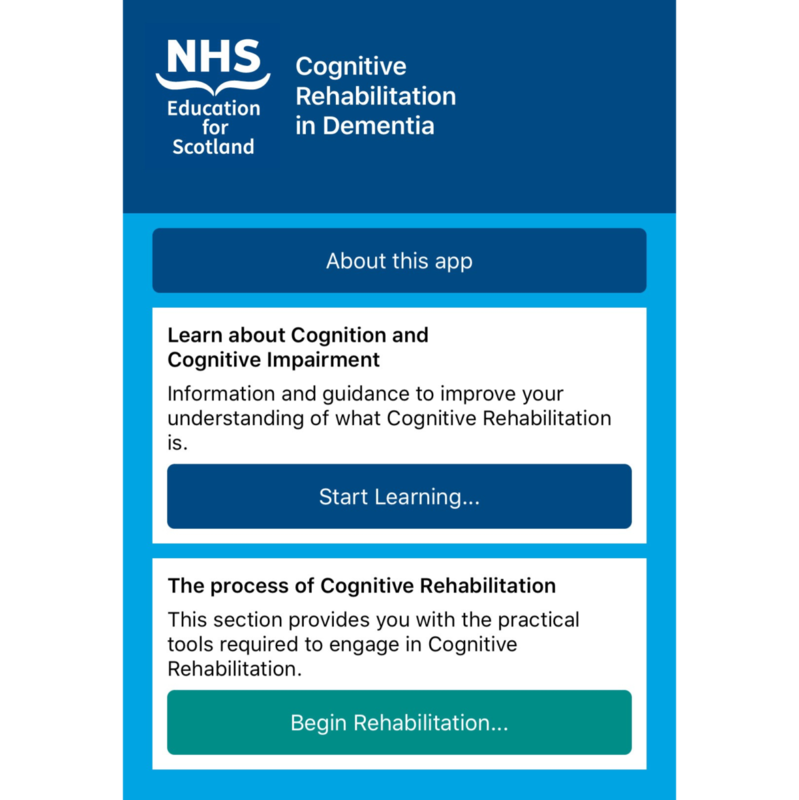 The ‘Cognitive Rehabilitation in Dementia’ app is used by frontline staff to help support people in the early stages of dementia by using cognitive strategies to meet their rehabilitation goals. 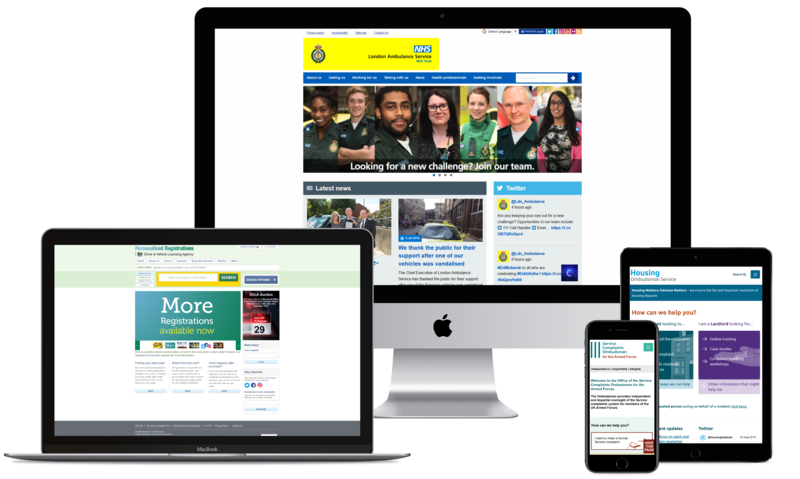 By choosing to develop the resource for mobile devices, it can be used on-the-go, allowing clinicians to access information instantly. 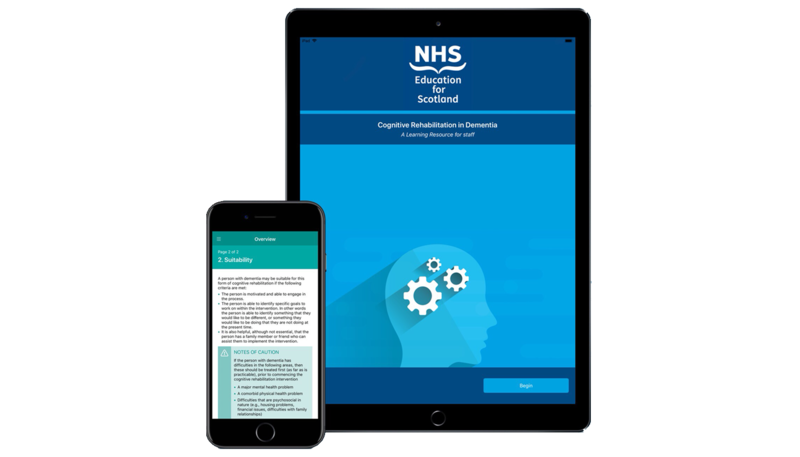 Available for iOS and Android devices, the app complements a hard copy learning resource and twice-yearly workshops developed and facilitated by the NES Psychology of Dementia team. The app features two distinct sections: ‘Learn’ and ‘Rehabilitation’. The ‘Learn’ section provides educational information on cognition and cognitive impairment, and the interactive ‘Rehabilitation’ section guides the user through the process of cognitive rehabilitation. Each resource is intended to facilitate skill development. Therapists can access resources to guide their assessment, enabling them to develop a working formulation of the presenting issues. A formulation sheet is available, and staff can email a copy of the assessment they have completed. Content is delivered to the app via Umbraco – a scalable content management system that provides a streamlined experience for editors. By selecting a flexible system, the app can be regularly updated and maintained. Content is filtered through questioning, guiding users to the information they require. Xamarin was selected as the development software for the app because of its powerful cross-platform capabilities. With Xamarin, the same coding language, APIs and data structures are used, with logic easily shared. This significantly reduced the complexity of development and resulted in considerable savings. Agile methodology was utilised in order to aid the design and development process and promote effective project management. The design phase invoked the creation of concepts and wireframes, with beta testing providing constructive feedback and aiding the app’s visual design. This helped to inform usability and feature development, and allowed our team to deliver an app worthy of NES’ objectives and ambitions.